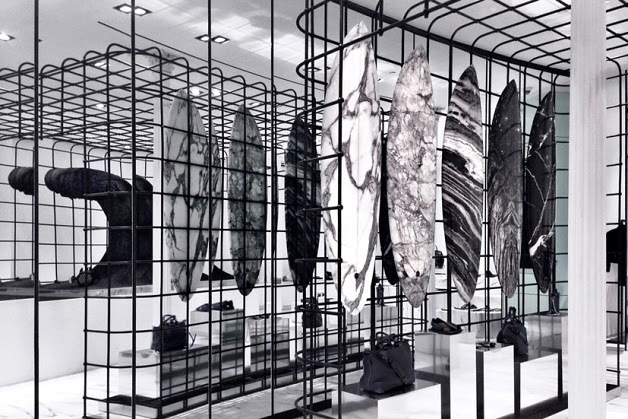 Alexander Wang reveals their latest collaboration with Australian surfboard brand Haydenshapes. 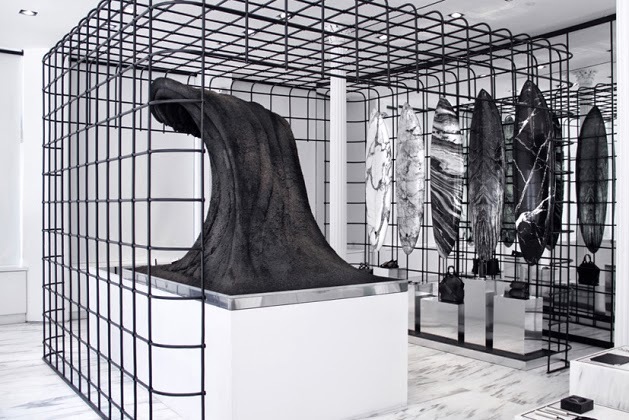 The creative collab featured five marble surfboards used as visual art piece in his latest cage installation at Wang's 103 Grand St. Flagship store. 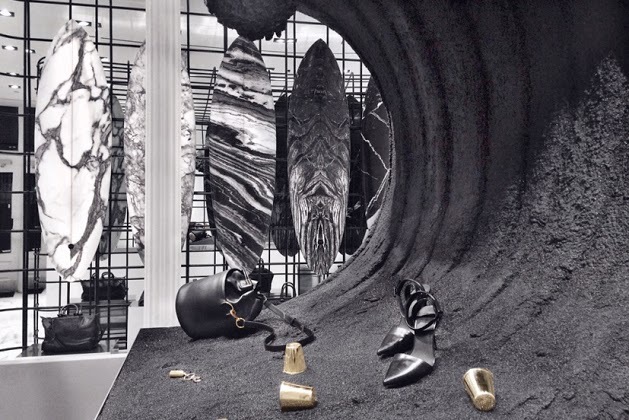 The art piece is developed by Wang and Hayden Cox, founder of Haydenshapes. 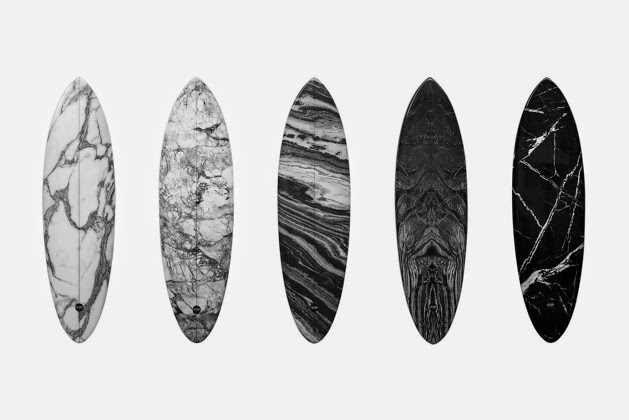 The photographs of the marble surfboards will be digitally printed onto silk, which then being printed over Haydenshapes' classic Hypto Krypto surfboard. Want to find out more about this one of a kind surfboards visit Haydenshapes or Alexander Wang for more. 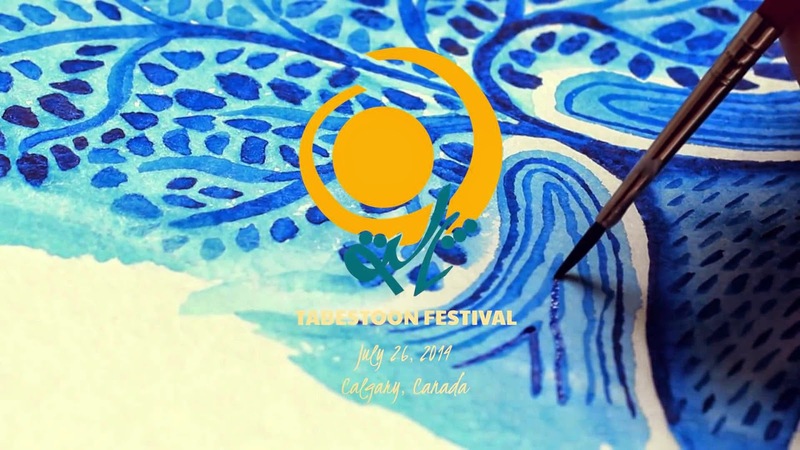 Tabestoon Festival will take place tomorrow July 26th, 2014 with free family entertainment and educational programs designated for every generation including the youngest of Iranian-Canadians. This will be the first-ever contemporary Iranian art and culture Festival in the City of Calgary the Province of Alberta. TabestoonFest is set to feature some of your favourite artists and musicians from the Iranian diaspora including UK-based alternative rock band Ali Azimi, Radio Javan resident DJ Taba, as well as local emerging artists including Calgary’s own Erfani dancer Nilou Davoudi (Majnoon Dance Academy), and many more. Set in the central and easily accessible location of Olympic Plaza in downtown Calgary, TabestoonFest promises to be the best ethnic outdoor entertainment of the summer season. The majority of all programs will be free for the general public. In addition to showcasing high-profile musicians, dancers, and visual artists of Iranian heritage, TabestoonFest will also feature house of traditions, showcasing carpet weaving, musical instrument exhibition, Persian calligraphy, art galleries, and traditional food vendors to entice all your senses. Shauheen Etminan, the founder and president of Persian Gulf Foundation and CEO of Tabestoon Festival is excited to see the Iranian community coming together for this festival and believes that huge projects like organizing a festival for the first time in this scale is feasible through great team building, strategic planning, ambition for excellence and commitment to giving back to society. Tabestoon is a great opportunity to share the rich heritage of Iranian art and culture with non-Iranian friends as well as our beloved children and grandchildren who have lived most of their lives far from Iran. It is a unique opportunity for engagement with the greater Calgary community and contribution to the art and culture scene of our city, as well as creating a forum for intercultural dialogue and understanding. Persian Gulf Foundation is dedicated to creating an inclusive atmosphere that supports and facilitates integration of the Iranian diaspora in the greater Calgary community. Our aim is to attract a diverse audience of various backgrounds so feel free to invite your Canadian friends along. Special thanks to Katrina Oslon-Mottahed and Ali Karami. To find Tabestoon Featival schdule check here. Touraj Daryaee is a Professor of Iranian History and the Director of the Center for Persian Studies at the University of California, Irvine. He is the editor of The International Journal of Ancient Iranian Studies, the author of Cyrus the Great An Ancient Iranian King, and the creator of Sasanika: The Late Antique Near East Project. He has studied several ancient Iranian languages including Avestan, Old Persian, Middle Persian, and Parthian and specializes in history of late antiquity and medieval periods as well as Indo-Iranian Languages and Culture. Ali Azimi is an Iranian singer and song writer based in London, UK but originally from Tehran. His previous work with Iranian rock band "Radio Tehran" as the band's leader, principal singer, song writer and lyricist has defined a fresh sound and vibe within Iranian alternative music scene. Ali's new album "Mr Mean" was released in Oct 2013. Benedikt Fuhrmann is the head of his own agency for audiovisual communication and works as photographer and filmmaker currently in Munich, Germany. 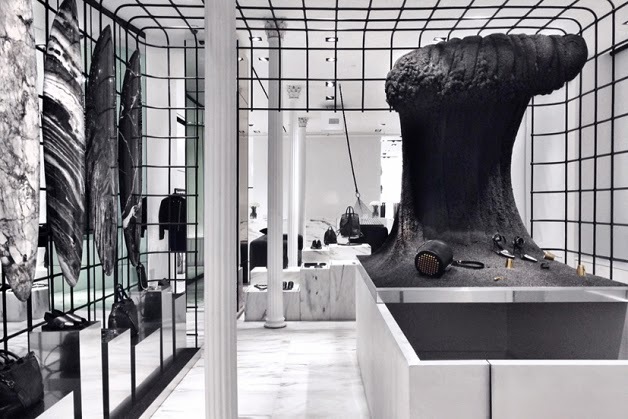 Above all you can explore his passion in his own independent art projects. His motivation for the last international exhibition called ‚Ein Blick Iran’ is the deep desire to open new ways to increase the awareness and communication between the people of Iran and the western world. Holding a Masters degree in Computer Engineering from the University of Toronto and a full time employee of IBM Canada since 1998, Mehrdad has been actively involved in preserving and reviving Iranian culture, a subject that is close to his heart. Over the course of years of volunteer work, he has served as chair and board member for many organizations devoted to promotion of Iranian culture and intellectual heritage within academia, Iranian community and Canadian society. He is the co-founder and Chief Executive Officer of Tirgan cultural festival, the largest of its kind, held in Toronto since 2006. Mehrdad is the recipient of many awards for humanitarian and community service and promoting culture and social justice, including the National Ethnic Press And Media Council of Canada award and Queen Elizabeth II Diamond Jubilee medal. Marjan Eggermont is the Associate Dean (Student Affairs) and a senior instructor in The Schulich School of Engineering at the University of Calgary, teaching in the area of engineering design, technology and society. 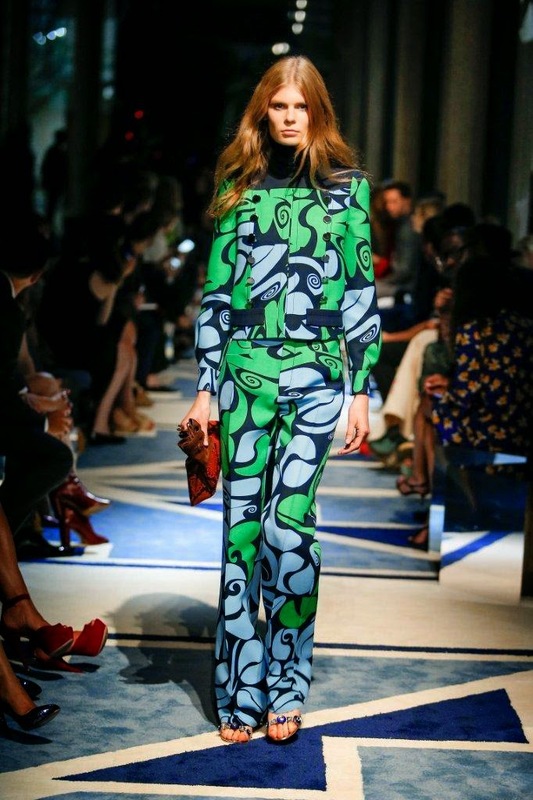 She is also an artist who exhibits nationally and internationally. Marjan teaches visualization, drawing, communication, design history, biomimicry, and green engineering topics. Cellist Tom Mirhady grew up in Vancouver and started playing cello at age 9. Before coming to Calgary he attended the University of British Columbia and Musikhochschule Köln in Cologne, Germany and received a B.Mus. from McGill University and M.Mus. from New York’s Juilliard School. Previously a member of the Edmonton Symphony, he played with the Vancouver Symphony, and has been a member of the Calgary Philharmonic since 1979. He teaches cello at home, Mount Royal University Conservatory and the Amici Strings program. He enjoys playing chamber music and gardening at the Rosemont home he shares with his family. Tom’s father Fereidoun, originally from Iran, immigrated to Canada in 1951 and, though he has never been there, Tom is interested in all things Persian, including the music, food, and his many relatives, both inside Iran and out. Formed in 2008, Saba Ensemble of Calgary is dedicated to Persian Classical and folk Music, from medieval to contemporary scripts. In the current performance Saba Ensemble includes: Shermin Negari (Tar), Mehdi Pouragha (Oud), Neda Ighani (Vocal), and Mohamad Mojarab (Daf) . Over the years, the ensemble has been privileged to work with other local musicians and present Persian music at many Iranian and multicultural events. The two recent concerts presented by Saba ensemble were Desire (2011), and Words of Beloved (2012), both performed in Calgary. Nirvana Nirvan holds a BFA degree in violin performance from Concordia University, Montreal-QC. She has performed recitals, chamber music, and has been a member of the Musicians of the World Symphony Orchestra (MWSO) for several years in Montreal until she moved to Calgary in 2013. 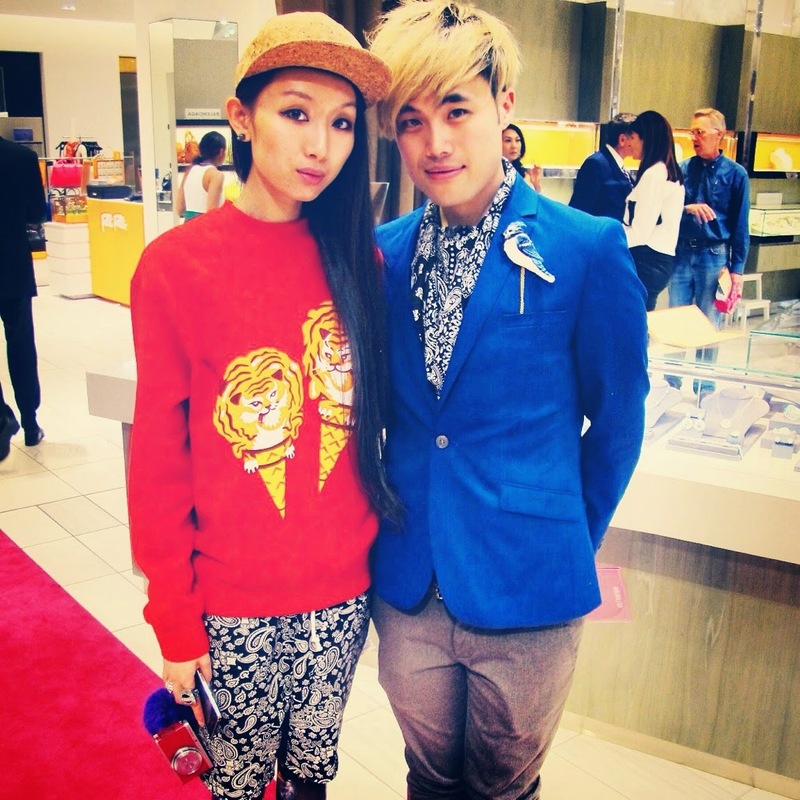 Ms. Nirvan is also a singer and songwriter, and she has released the album of her own original songs in 2011. He started music when he was 6 years old with his uncle Master Hossein Meysami. (head of department of music at Tehran Art University) and after 4 years went to Master Majid Kiani classes and had been his student for 16 years. Bijan was winner of Iranian student music festival (2002 at Amir Kabir Univesity and has formed Hoorami music band. Since 2006, he has been living in Calgary Canada and had numbers of performances in multi-cultural events and festivals such as TEDxCalgary, Silk Road, Global Festival and road cross festival. He is recently working on fusion music with Iranian and non-Iranian musicians. Majnoon Dance Academy is Calgary's first and only Persian school of dance. Majnoon is proud to be the premier leader in exhibiting the Persian dance form and passing on the fluidity and beauty of Persian dance to generations. Founded in 1999 by Manzar Javaheri, Majnoon specializes in traditional, folk, pop, and mystical Persian dance classes as well as Afghani, Indian, Turkish and Uzbek dance classes. All levels of dance experience are accepted and classes are unique and enjoyable! 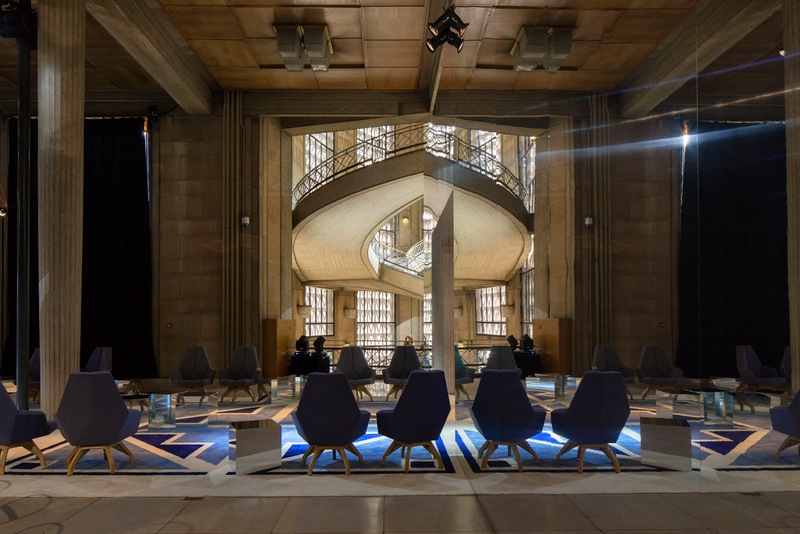 Mahdiar Ghaffarian is an architect and artist with more than 12 years of experience in architectural design, visual arts, painting and graphics. He received his BArch from Faculty of Fine Arts at University of Tehran and MArch from EVDS at University of Calgary. He is currently continuing his research progression towards his Ph.D study while practicing as a graduate architect and designer in Calgary. Having 10 years of experience in music, he started playing traditional Iranian music by playing Tanbour as one of the greatest ancient Iranian instruments played since 1500 BC in Persia. Tanbour is believed to be a sacred instrument which has been used in rituals for a considerable time among different mystic and sufi cults. Niusha Shirvani is Persian traditional music Tar & Setar player, improviser, composer and teacher. He played Tar in several live concerts both as solo artist and band leader. Niusha’s style of playing Tar & Setar has definitely been influenced by such leading musicians as: Hossein Alizadeh and Mohammad Reza Lotfi with whom he advanced his training. Currently, He works toward his music degree at university of Calgary while composes music and teaches Tar & Setar in his home studio. Ana Daniali is an architect and artist. 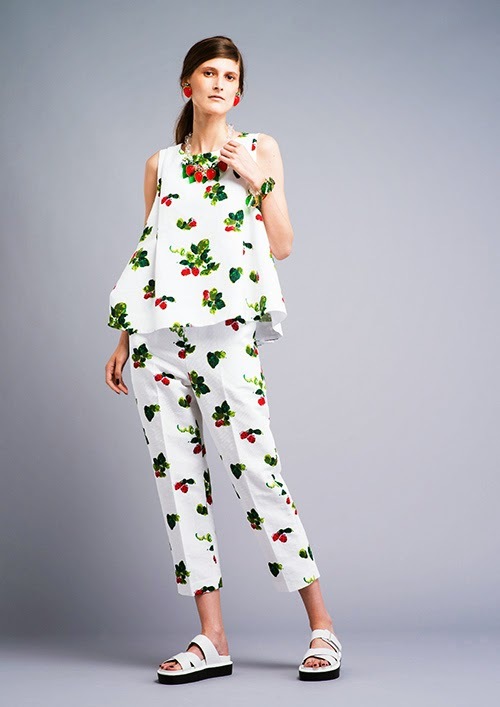 She received her Master's degree in Environmental Design from University of Calgary. Throughout her time with "Raha Theatre Group", she performed in a number of lead roles on stage, as well as a few professional productions. As part of her education in voice, acting, and screen writing, she had the chance to work with well known Iranian director "Mohammad Rahmanian" and famous actress "Mahtab Nasirpour" during a workshop in Calgary. Born and raised in Iran, Goli Jalilian's passion for music and singing was evident from an early age. Goli started her first music lessons in Orff with Vafa Adib in her elementary years. She then continued with taking piano lessons in Tehran. She joined the choir of Tehran University of Art in 2001 and took Solfege lessons from various teachers. In 2006, Goli received her Bachelor of Music in Elementary Education with distinction from the University of Calgary. She took classical vocal training during her undergraduate years and performed as a solo and choir member in various large and small ensembles at the University of Calgary. Goli is on a journey to develop her own style of singing, which combines traditional Iranian musical elements with western vocal techniques. Soroush has been playing both acoustic and electric guitar since for the past 10 years, and he has performed for charity events inside Iran both as a solo artist and also in his own band. He has been a resident of Calgary for four years and during this time, he has been playing with Bijam Maysami focusing mainly on fusion music . They have performed multiple times together on different venues since. Foad Haeri is pursing a PhD degree in petroleum engineering in the US. Through his life, his passion for responsible art has given him the chance to perform in a wide variety of areas, such as directing plays, acting, screen-writting, singing, playing different musical instruments. Recently, he has created his own new way of communicating with people through making rhythmic speeches about Iranian cultural challenges. He believes that change for the whole comes only after change in each individual. What he focuses on in his works is finding practical ways of discovering the world inside and spreading the awarness with the hope of turning the world outside into a better place to live. Nazy Kaviani, founder of Diaspora Arts Connection, is an arts and cultural community leader in the San Francisco Bay Area. Nazy has helped many musicians and other artists to find stages for performance or exhibition in the US for the first time, while bringing a rich series of events to her community in Northern california. She is also a writer who has blogged for Iranian.com and Iroon.com in Farsi and in English. Her writings, poetry, and translations have also appeared in books. served as a violin instructor in Calgary Long & McQuade. Although currently working as an R&D engineer, he simultaneously maintained his passion for classical music and is actively involved in music education and performance. 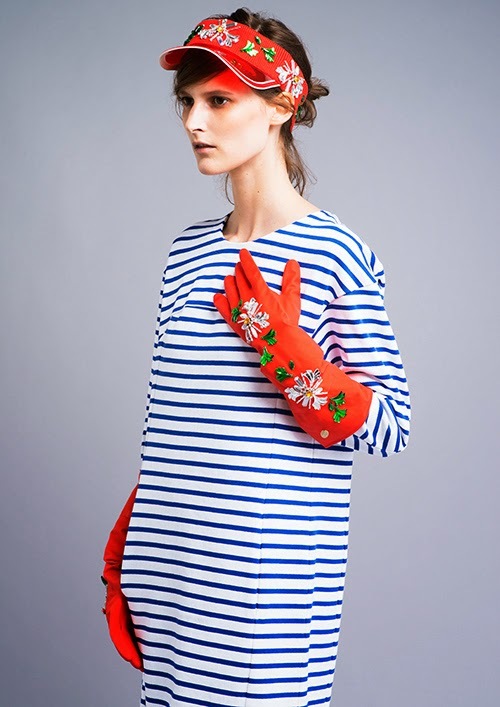 MUVEIL announced the new 2015 Cruise Collection "Noble Sports". 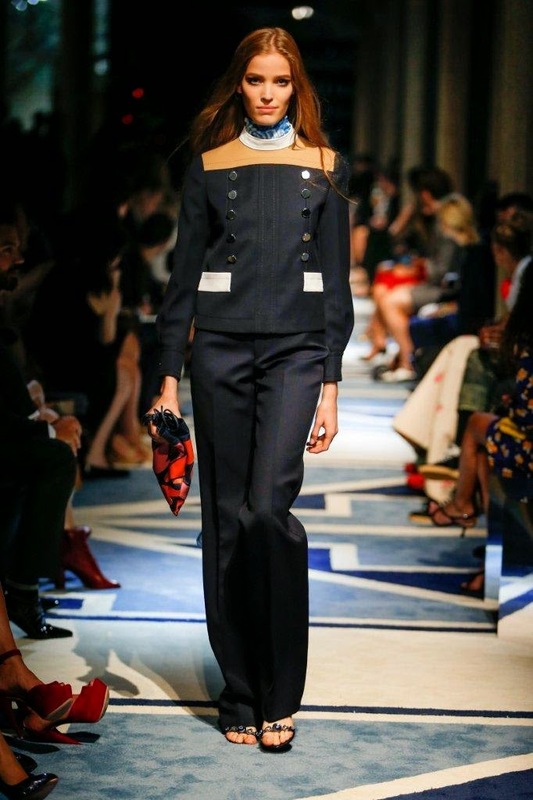 Sporty charm is the theme of the collection. 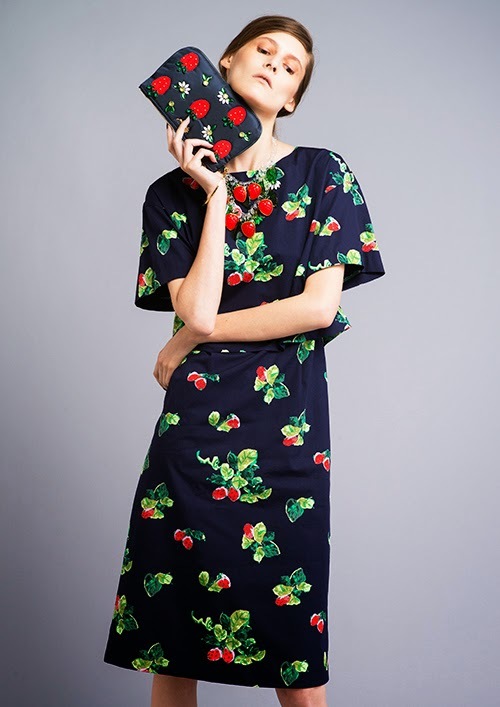 Using strawberry as the motif of the new cruise collection, the key is embrace the sporty charm if woman. 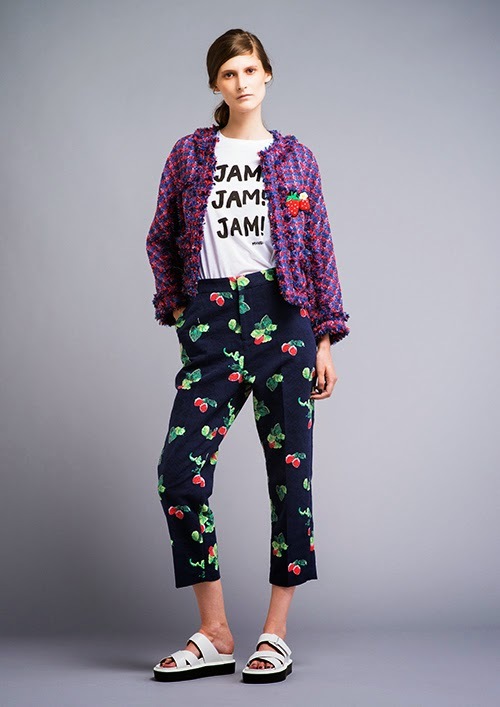 Items range from knit coats, dress, printed pants and pullover that resembles a sense of freshness. 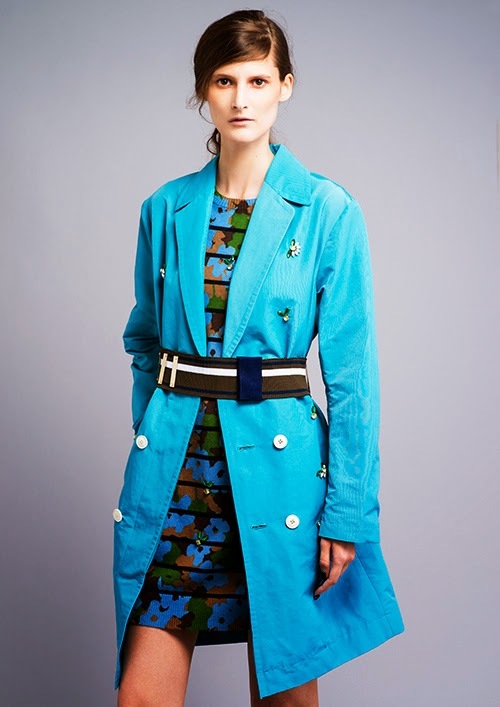 Muveil's classic trench is also being reinvented with bright colours and small details around the buttons. Want to find out more about MUVEIL, check here. Cara Delevingne x The Love Magazine; Caraoke! Cara Delevingne, a pool of rainbow marshmallows, and karaoke, what do you get from such a combination? CARAOKE! 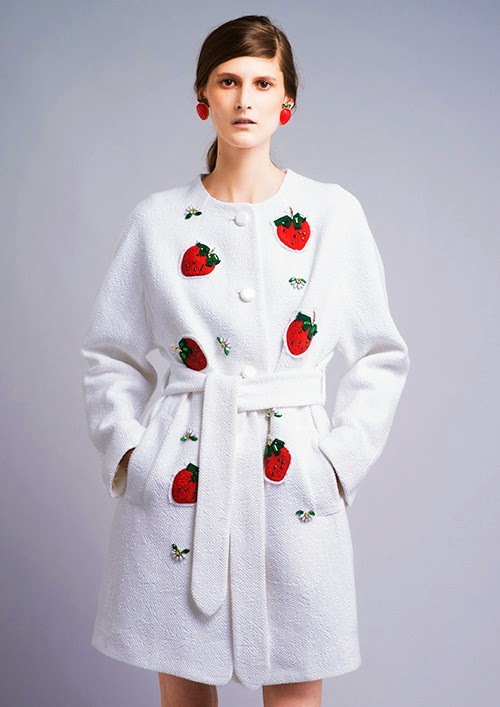 The supermodel's latest collab with UK LOVE Magazine. Cara dressed in poka-dot camisole and pink plastic raincoats laying on a pool of marshmellows, lip-singing "Control Myself" by LL.Cool.J ft Jannifer Lopez. As if Cara being animate-lized wasn't kawaii enough, mini animated-figures and emotions flit across the screen as the song goes on. Check out the CARAOKE! 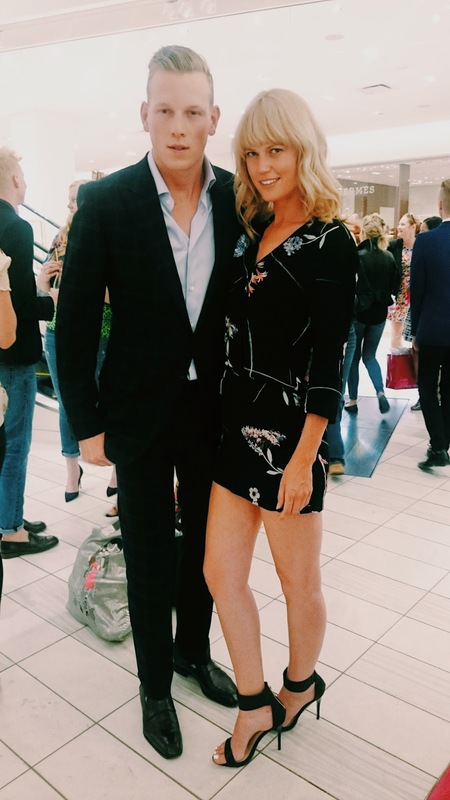 On June 24th, Holt Renfrew Calgary hosted a charity fashion show and live auction to benefit the Calgary Health Trust's Beat Beginning Program. 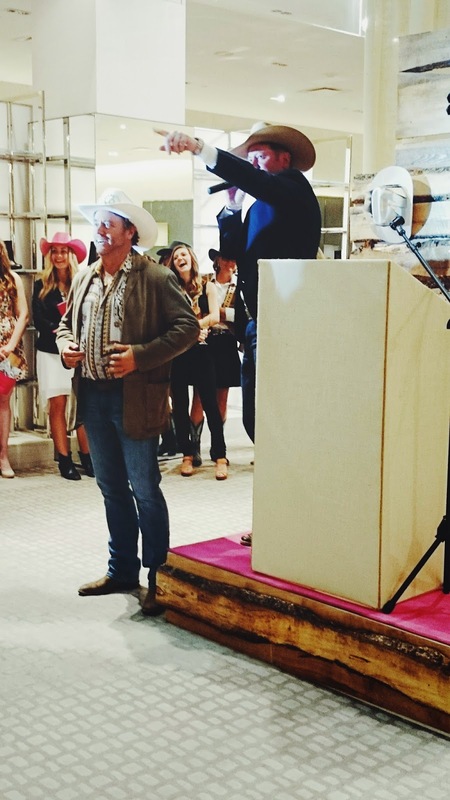 Guests were welcome with an unique presentation celebrating stampede fashion. 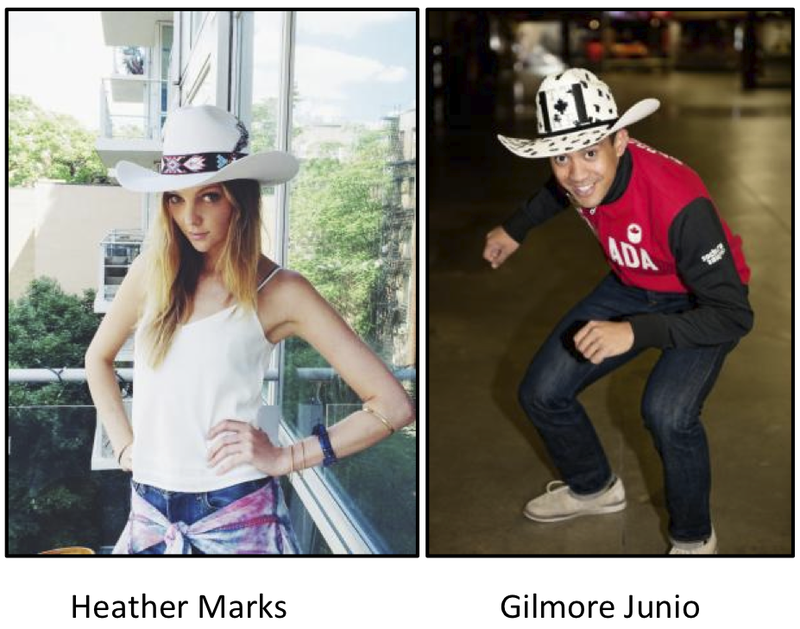 The celebrity auction featured one-of-a-kind cow boy hats created by an esteemed list of designers including Anzie, Dean Davidson, Ela, Mackage, Paige, Smythe and Tanya Taylor. 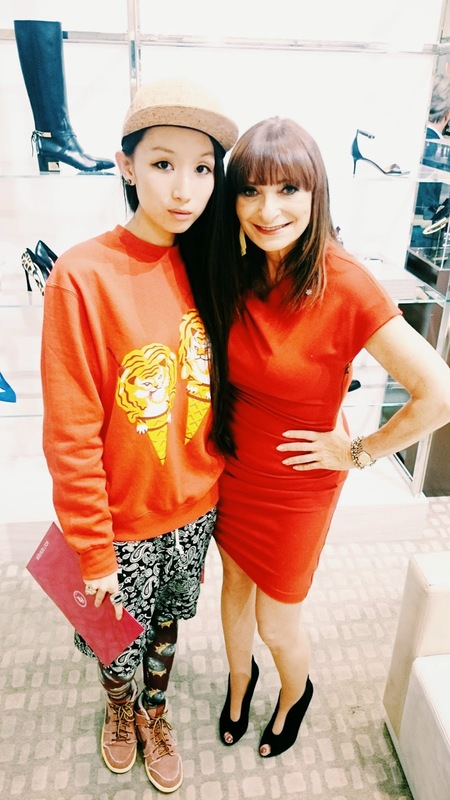 The charity auction and style presentation was hosted by Jeanne Beker, Hot of Bell Media's Fashion Television Channel. Celebrity that was featured on the night's auction include model Ann McCraig, Board Chair of Calgary Health Trust, Julia Dunstall, Calgary-born international Model, W. Brett Wilson, entrepreneur and chairman of Prairie Merchant Corporation, Kelley McKinlay and Reilly Bell, Alberta Ballet company dancers, Jason Krell and Aly Veliji, The Style Guy, Sam Edney, three-time Olypian, Connie Desousa and John Jackson of Top Chef and Calgary's Charcut, Brett Hart, Professional WWE/WWF wrestler and Matt Masters, country singer. Showing their support for the Calgary Health Trust to help promote the evening are “muses” who have generously posed for portraits in the designer hats, including Laureen Harper, Gilmore Junio, Olympic athlete, Ken King, President and CEO of the Calgary Flames Hockey Club and Heather Marks, Calgary-born international model. 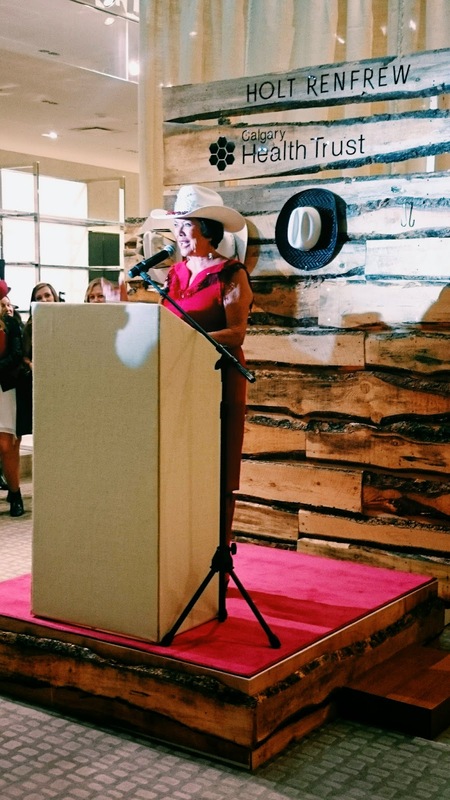 "We are honoured to host this event, which pays homage to our rich Canadian heritage as a modest hat shop established in 1837," said Debra Kerr, Divisional Vice President and General Manager, Holt Renfrew Calgary. 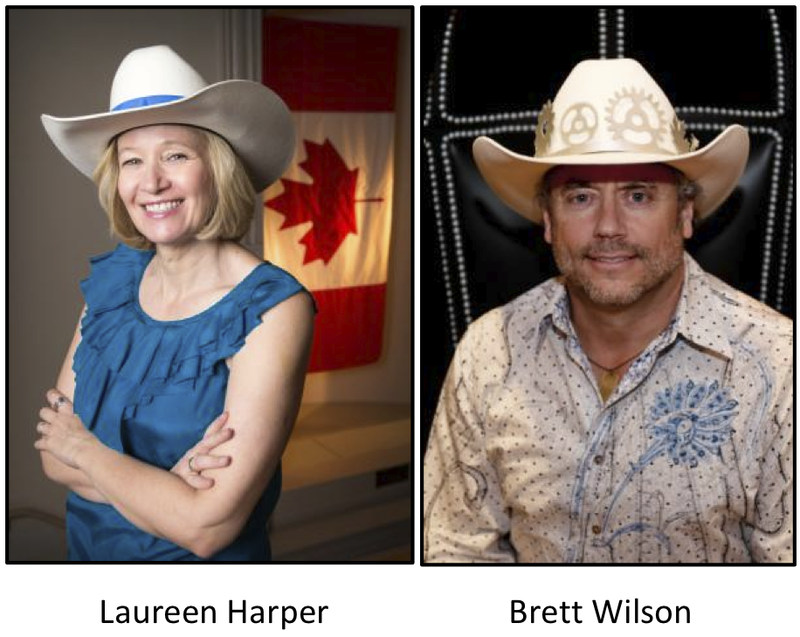 "We will kick up our boots and celebrate in style, offering bidders the chance to own a one-of-a-kind designer cowboy hat, all while giving back to an important charity, the Calgary Health Trust." 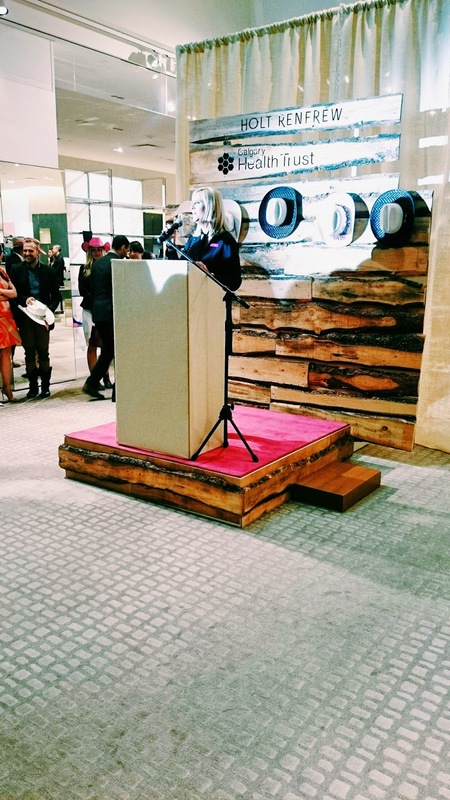 "By supporting the Calgary Health Trust through this innovative event, Holt Renfrew will make a difference in the lives of expectanat women in low-income and high risk situations," said Ann McCaig. 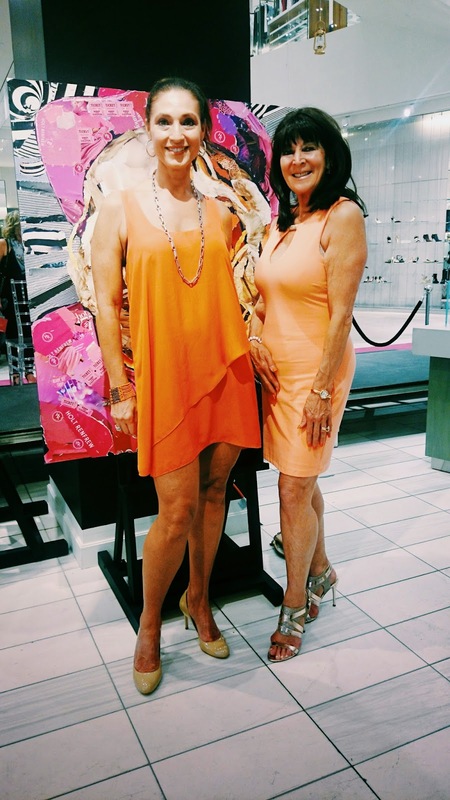 "The funds raised through this fabulous night of fashion and philanthropy will be directed to our Best Beginning Program, ensuring many women realize the best possible start to motherhood. We are grateful for this opportunity to raise awareness of the impact this vital program is having on our community." 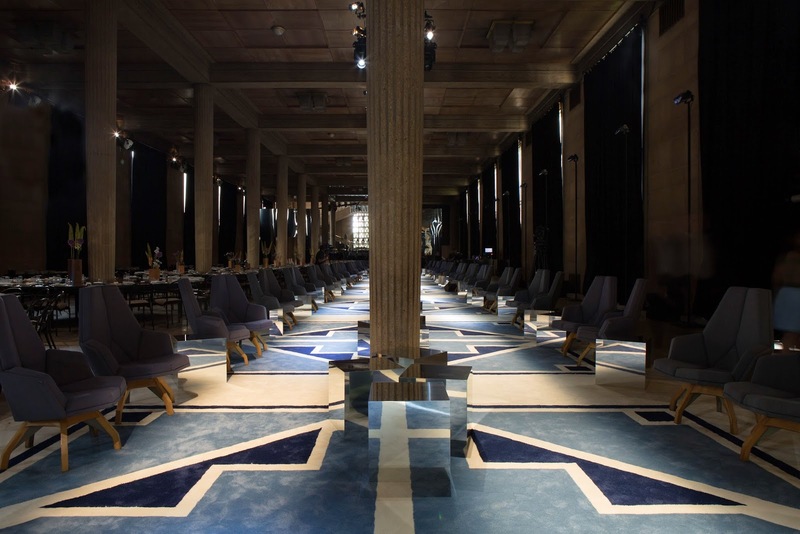 On July 5th, Miu Miu took center stage with an exclusive event held at the Palais d’Iena with the attendance of important personalities from the world of cinema, art and fashion. 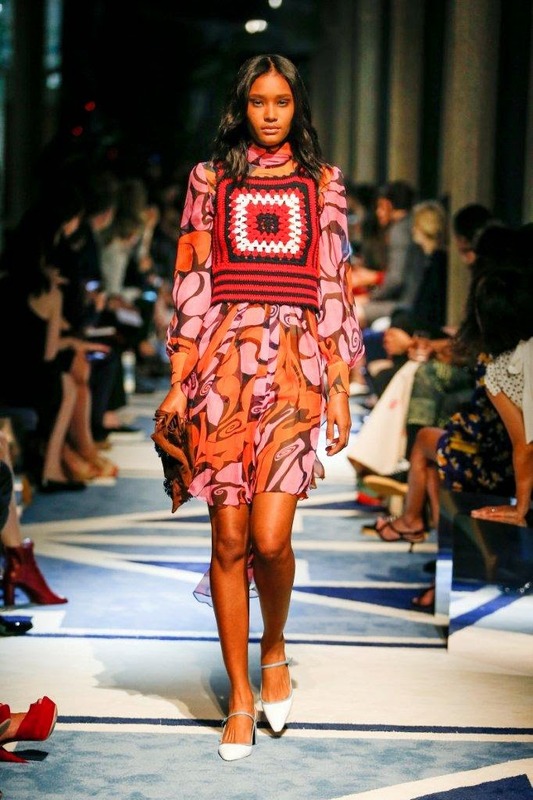 The guests were welcomed by the voice of young English singer/songwriter Josephine Oniyama, followed by a presentation of the Miu Miu 2014-2015 Croisière Collection. The evening continued with a dinner and ended with a spectacular performance by internationally acclaimed US artist Jack White.